A leader of the Partido de Trabajadores Socialistas (PTS) talks about the theoretical and strategic basis for the actions of the PTS in the struggle for worker control at Zanon. The article below is an abridged version of a speech given by Christian ‘Chipi’ Castillo on November 10, 2011 at a meeting held to mark the tenth anniversary of the occupation of the Zanon factory. Organized by the Juventud del PTS (PTS Youth), the meeting took place at the University of Buenos Aires (UBA) and was attended by over 800 people. 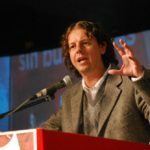 Castillo is Professor of Sociology at UBA, a national leader of the Partido de los Trabajadores Socialistas (PTS), and has served as Member of Parliament for the Left and Workers’ Front (FIT) in Argentina. Raúl [Godoy] and I are part of the same generation. He was 22 and I was 21 years old when we were part of a [political] current and later a faction that was expelled from the Movimiento al Socialismo (MAS – Movement for Socialism). At that time, the MAS was the largest left-wing party in Argentina, alongside the Communist Party. We began with a core group among the youth at the University of Buenos Aires (UBA), the majority of those in the shipyards in La Plata who came with us, and some leading comrades with extensive political experience such as Emilio Albamonte, Titín Moreira and others. Together, we waged a struggle within the MAS, a party that was taking an increasingly opportunist course. We took up the task of reorienting our membership, of taking up the Trotskyist viewpoint that was being abandoned by MAS leadership during this very difficult time. It was only later on that we came to the conclusion that it was not just the leaders of MAS, but the Trotskyist tendency which we had come from, Morenismo (the tendency founded by Nahuel Moreno), that was based on an incorrect theory. Morenismo was based on an opportunist revision of Trotsky’s theory of permanent revolution. Our critique of the MAS arose from our own historical experiences during the decline of the workers’ movement – one of the most challenging moments in the history of the revolutionary movement. This was during the [Eastern European] uprisings of 1989, which did not achieve the much-anticipated political revolution that would eradicate the bureaucracy, regenerate the workers’ states, and pave the road towards world revolution. In fact, the exact opposite occurred; it was a major neoliberal situation that resulted in a brutal setback for the workers’ movement and for socialist ideas. It’s telling that the book by Francis Fukuyama, The End of History and the Last Man was a worldwide best seller in the early 1990s. That was the spirit of the times. The ideas we fought for were said to be anachronistic. Millions across the world became totally disillusioned with the idea of fighting for socialism and revolution. Thousands and thousands of those who had been MAS militants simply abandoned politics, and the majority of those who remained active renounced the Trotskyist tradition. After leaving the MAS, we went on to re-study and to re-elaborate, basing ourselves in large part on a whole generation that was able to fight Stalinism. We tried to pick up the thread of continuity with the struggle for revolutionary Marxism from those who had lived through an epoch of reaction much worse than ours. The epoch that Trotsky lived through in the 1930s was one of Stalinist counterrevolution and the rise of fascism, during which revolutionaries were imprisoned for confronting fascism and Stalin’s secret police. Here the operation of the State and the bureaucracy served to break the will of revolutionaries, and yet, despite it all, a number of them carried on, attempting to intervene in the clashes between revolution and counterrevolution, such as the Spanish Civil War. Trotsky was not an isolated figure, but the major reference point for all Communists who confronted bureaucratization and Stalinism. These ideas inspired us in our struggle during the 1990s. 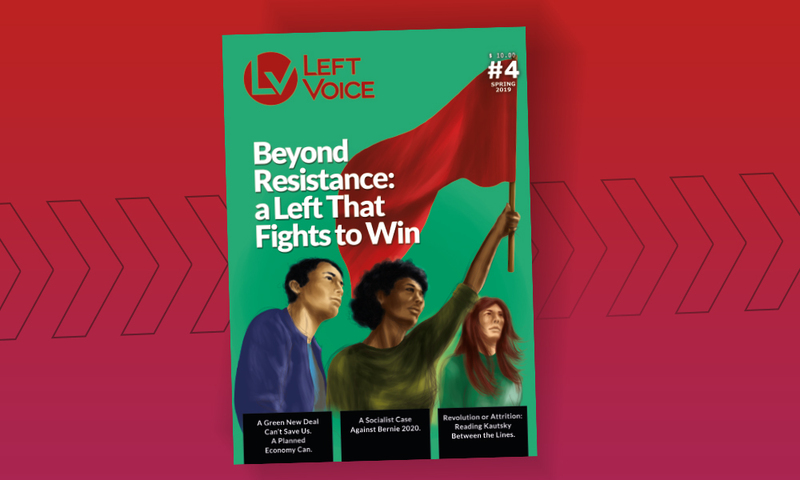 In the face of the turn to the right and the increasing demoralization and opportunism of the much of the left, our party dared to chart a course to continue on: to once again take up the program of Trotskyism and propose a strategy to fight. At the same time that we were trying to place ourselves into the workers’ movement, we were waging an enormous battle against societal ‘common sense,’ which opposed any kind of political militancy and any future for Marxism. Theories about the disappearance of the proletariat flourished, and we undertook a theoretical, political and practical battle against this dominant tendency. But it is precisely this point that we need to understand; that the history of the workers’ and socialist movement did not begin with us. Understanding this allowed us to feel that we were part of a countercurrent; that we were trying to keep alive the experience of the revolutions of 1848, the Paris Commune, the Russian Revolution and the struggle to defend the legacy of the Russian Revolution. We were even examining which Trotskyist movements had contributed to the revolutionary struggle, even if we did not agree with them. In this way, we were arming ourselves with a strategy and a profound conviction: if we could not penetrate the workers’ movement, our ideas would not be able to become a material force. We took this idea from Gramsci, who said that the history of a party is measured by what that party can contribute to the working class. It was with such a conviction that a compañero like Raúl entered Zanon and began his patient and clandestine work during this very difficult period. The year 2001 and Zanon marked a watershed for our party, because part of what we had elaborated and theorized about was now being put to the test. The compañeros who were active at Zanon worked within the Coordinadora del Alto Valle [Coordinating Committee of Alto Valle] to promote the idea that it was necessary to organize workers’ coordination and prepare something similar to the original soviets or workers’ councils. When we spoke to the desocupados (unemployed workers) movement who came to Zanon, they looked at us and said, “There are some naive people in the PTS, to take in eighty kinds of unemployed workers’ movements who have nothing but harsh words for the PTS.” But we were not doing this out of naivete; we were thinking about how this could contribute to the struggle at Zanon and the struggle of all workers. We did this for two reasons: First, because the workers in the factories of Neuquén were influenced by the Movimiento Popular Neuquino (MPN – the governing party in the province), left-wing compañeros could come and help politicize these workers. Second, we prioritized the challenge of uniting the working class by breaking down prejudices towards the desocupados. When society started to stigmatize the piqueteros, when the whole climate changed after the Duhalde government’s massacre at the Puente Pueyrredón (Pueyrredón Bridge in Buenos Aires), we said ‘the Ceramic Workers’ Union are not going to move in this direction, the piqueteros are our class brothers and the first new jobs will be for these compañeros’. This presented us with a challenge: if their ideas are better, they will gain the majority; if ours are better, we will convince them. In this way, from among all the tendencies, it was the ranks of the PTS that were strengthened in Zanon. I believe that this was a correct method because it demonstrated that with our ideas and with the existence of proletarian democracy, we could convince people. This greatly helped us progress the consciousness of the workers at Zanon forward, at a time where the climate in 2001 was against political parties and mired in autonomism. And autonomism was, to a great extent, an expression within the left of the neoliberal counterrevolution, of the exacerbation of individualism. On the contrary, we feel that we are part of a team of collective labor where our individualities make small contributions to the revolutionary work we undertake in common. This is a sentiment we must pass onto the many compañeros who are beginning their revolutionary militancy today. As personalities and as a generation, we do not live in the same circumstances as a Kote Tsintsadze, who passed through the prisons of Tsarism, lived through the revolution of 1905, went into exile, organized clandestine struggles, and then after the revolution of 1917, faced Stalin’s prisons and yet remained unbreakable through it all. Tsintsadze’s example touched us in a time of anti-heroism, which saw many militants broken not through prisons, but simply by the consumption of neoliberalism or alternatively, by the prospect that there would be no revolutions and that capitalism would last forever: in other words, through a process of demoralization. If Trotsky said that the Communist Parties in the West did not produce a figure like Kote Tsintsadze, we too have yet to bring up such a fighter. But the historical conditions in which we are engaging could give rise to a Kote Tsintsadze. In some ways, we see ourselves playing the role of passing on these revolutionary experiences and the continuity of Trotskyism, which has allowed us to remain active without conceding to what the majority of our generation have conceded to. It is resistance to these dominant ideas that has later boosted the morale of the many compañeros who have penetrated the workers’ movement. If we speak of 2001, we must also speak of a debate in which we maintained that the absence of the employed workers from the historical scene, with the exception of the occupied factories and the unemployed part of the working class, was a weakness in this process. For all of our progress, 2001 nevertheless had enormous limits; as mentioned earlier, it was not a great opportunity for the left. We recognized these challenges and endeavored to change affairs by encouraging the movement of occupied factories in order to unite all the exploited in this struggle. We held to our politics in which the working class has hegemony in order for it to articulate, organize and lead this struggle. There were practically no left-wing and anti-bureaucratic delegates in any factory at the time. The Ceramic Workers’ Union was an exception. The capitalist attack of the 1990s had swept away all the leftists with the industrial proletariat. We were weak then, but we did what we could do. But great historic transformations require two things: one is the tendency of the masses to rise up and to challenge exploitation. We do not change history by ourselves. That is to say, 2001 saw the trend of sections of the working class occupying factories; 200 factories were occupied during this time. But if there is no revolutionary organization to guide these struggles, these struggles are contained, they are defeated, or they deteriorate. Of the 200 factories recovered and reclaimed in 2001, Zanon was an exception. In the rest of these factories, there were no revolutionaries like Raúl and others who fought against the spontaneous tendency of the workers to preserve themselves as a cooperative, avoid collaborating with the desocupados, avoid organizing the workers’ movement nationally, or fight to win hegemony within all the popular sectors. Zanon was Zanon because it had revolutionaries fighting within it who were connected to the current of struggle within the workers’ movement and who were able to mold and develop a fighting vanguard, a generation of fighting workers who are recognized as class-struggle worker militants. We are fighting against autonomism because it is a hangover of the individualism that brought us neoliberalism, a result of the defeat of the proletariat. This foothold is a huge drawing card in the face of the capitalist crisis. 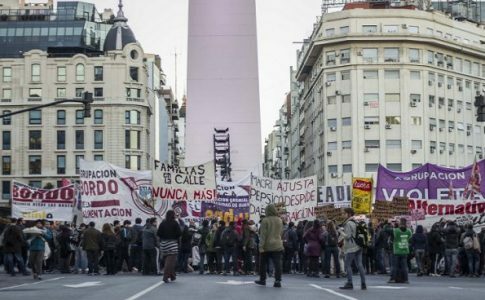 Those in Greece, Spain and France believe that Argentina is a great example of how things can really be turned around, that there is a proletarian response for those faced with capitalist factory closures, that is, to occupy and put the factories back into production. Or, if the crisis starts to hit here, Zanon is the example that shows that if factories are closed, we can turn around and take them over. Later on, this same experience helped convince other compañeros to intervene in the development of anti-bureaucratic struggles. This is a process that in part already occurs, but if there is no conscious activism and militancy, these efforts will exhaust themselves. This is because the bureaucracy will persecute you, betray you to the boss, or buy you off. Our intervention has allowed us to increase our presence in the workers’ movement and to occupy a prominent place in the phenomenon of sindicalismo de base (rank and file, grassroots unionism). What have we seen of the left around the world in the face of this reversal? We have seen a search for shortcuts, for ways of wanting to transcend the situation without trying to win over the workers’ vanguard. This accounts for much of the left, but there are also the sterile sects that do not serve the class struggle, that are incapable of penetrating the proletariat and of winning the confidence of compañeros, without which there is no possibility of being revolutionary. On the other hand, there are people who are quick to abandon all principle … the “new lefts” that have emerged and are now in decline around the world. 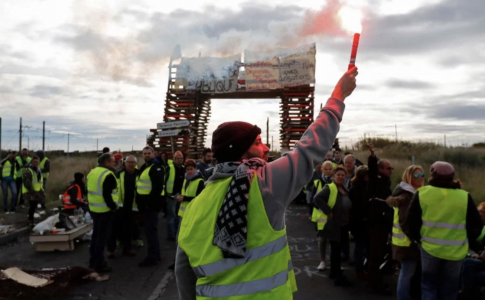 There are those who became enamoured with the anti-globalization movement and autonomism and said in 2001 “no, there is no need for a party, the spontaneity of the masses is enough.” Many of these later became Kirchnerists in our country: from autonomists to Kirchnerists. We are fighting against autonomism because it is a hangover of the individualism that brought us neoliberalism, a result of the defeat of the proletariat. They see the task of changing the world as complex and sometimes leading to defeat or revolutions becoming bureaucratized, so they want to avoid revolutions altogether and abandon all reflection on revolutionary strategy. They try to take a shortcut that insists upon the possibility of struggles for state power in the absence of a revolutionary party. But no revolution was made without some kind of leadership at its head. The revolution relies upon the strategy, the program, and the perspective of this leadership, as well as where such a revolution will end up. This is not because this leadership cannot be turned around; on the contrary: we saw it in the most revolutionary party in history, the Bolshevik Party, which became bureaucratized. But a minority resisted and this allows us to be Trotskyists today. Without the struggle of Trotsky and of Kote Tsintsadze, what would remain of Marxism? Nothing! Marxism exists today as an alternative because there was Trotskyism . . . otherwise, what would it be? Stalin, the Gulag? We reclaim and defend the tradition of Trotskyism, which means keeping alive this historic struggle of the workers’ movement for its emancipation. Zanon was an important test. We consider it to be a lesson for the whole workers’ movement, not for the self-management of the factory but for the conscious sector of the workers’ movement that is not corporative, that seeks to unite the working class, that works to achieve hegemony among the exploited sectors and that encourages workers to organize themselves politically and advance towards the construction of their own party. 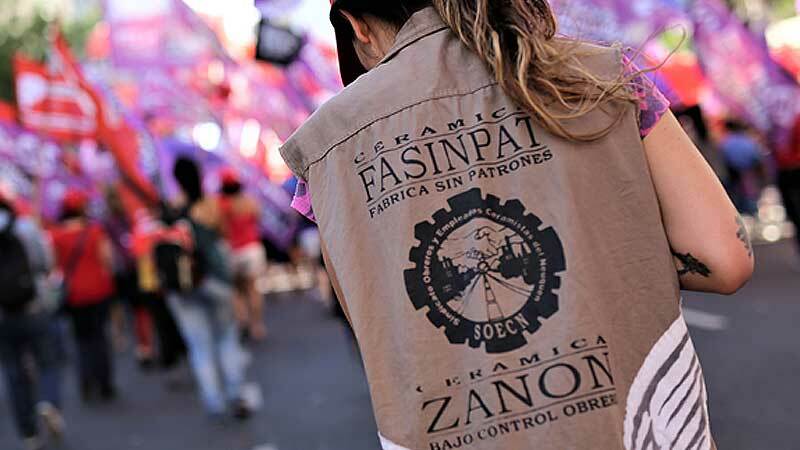 The Zanon factory exemplifies the struggles that Trotskyists and other compañeros have developed that allow us today to move to a higher level. Here today are compañeros who have joined the party, joined our youth organizations, at different times; some joined during the great struggle at Kraft, some are coming closer to us because of our ideas. Perhaps we are now entering into another watershed moment. Today we have an international capitalist crisis of historic magnitude, where capital is in a poor state but still in brutal competition with the workers’ movement around the world; a competition that is being played out in the streets of Athens, Rome, Madrid, Barcelona, London, Santiago de Chile as well as here, despite the relative passivity of the masses in our country. We must be conscious of our participation in this fight, as an advanced detachment of the working class, which maintains a strategy and recognizes that if we do not advance at each moment towards building a revolutionary organization, we will be passed by at key moments. Perhaps you are in a more privileged time than ours, because we will now see struggles of major importance. Privileged from the revolutionary point of view because this means a stage of sharper confrontations; possibly more of us will land in prison; some compañeros will have to take the fall, and endure the most difficult things – this is a revolutionary membership! To face the class enemy by basing our movement on those who have gone before us: that is our tradition. Perhaps you are going to play a leading part in this struggle. And whether we win or lose, as long as we prepare ourselves for victory, not just for a particular isolated strike, but for the new onslaught of the working class of Argentina, this time we can expropriate the expropriators and complete our historical revenge over the genocidal bosses of 1976. We must be conscious of the fact that we are in an intense competition. If we do not advance towards building a strong militant base under the assumption that we now have many advantages compared to the past, we are wasting an important opportunity. We have people who greatly respect us and who are willing to listen to us; we have achieved great legitimacy and enormous political visibility. But what we have obtained by participating in the elections cannot wait another two years to see if we are going to get a member of parliament. 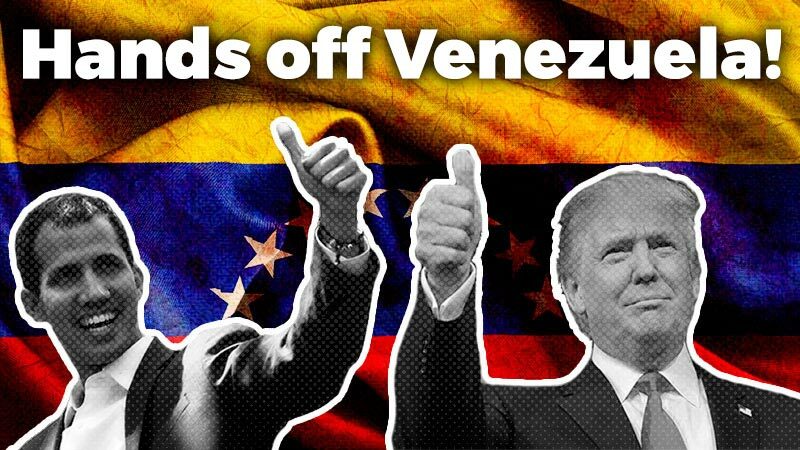 We need to use this political capital to talk to those who voted for us and say: “now you have to become active, because the international stakes are very high; an intense competition is playing out between the bourgeoisie and the mass movement”. As Trotskyists, in one of the countries where Trotskyism has a real presence, we have a responsibility to uphold. As revolutionary internationalist militants, we must help forge a tradition in the class struggle, with theoretical, ideological and political combat. We must emphasize that we are part of a revolutionary tradition; we modestly continue the struggle that gave us the Kote Tsintsadzes, the Trotskys, the Rakovskis, who defended themselves and fought so bravely in the prisons of Stalinism, who sang The Internationale as they were being shot in the concentration camps of Vorkuta and Verkhneuralsk. We have the obligation to convey this historical perspective to the people coming closer to us. We cannot end in a better way than by inviting them to join us, to join our side in the revolutionary struggle. As Marx said, capital corrupts everything, even the most beautiful. Therefore, we struggle against this system, by overthrowing it, by trying to connect and fuse with the masses when they rise up in struggle. I imagine during the French Revolution, those that thought like this saying “do away with the aristocracy, no, that is going to bring all sorts of problems” . . . 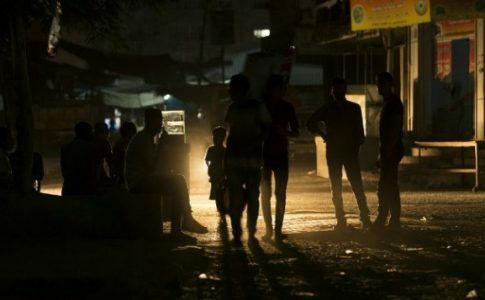 Yes, indeed, the revolution does bring problems with it, but they are problems that we want to deal with, different problems from this society which continually reproduces itself and which tells us that we cannot play a role in the transformation of society and open the road towards another civilization. We already know that the opposite is the case. Capitalism can survive or evolve into an even more slave-like society than what it is today. From the crisis of the 1930s came the Second World War, Nazism, the genocide of six million people and the numerous war crimes committed by the Allies. I don’t know how capital is going to answer this crisis. We have not yet seen fascist groups arise, but the capitalist crisis leads to the rise of fascists on one side and to revolution on the other. And for this it is best that we be prepared, with militancy, with the best militant force. 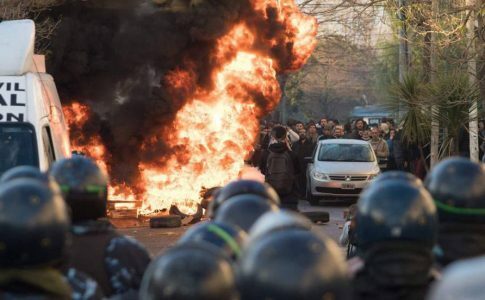 There are hundreds of young people who in some way feel anxious and restless in this society, who have an inclination towards the left, and have voted for the Frente de Izquierda (Left Front – FIT). This is the first step. It is these young people that we need to talk to and win to this perspective of bringing capitalist exploitation to an end, of constructing a revolutionary party and a revolutionary youth organization. This is a translation of an article first published in the special supplement, “Ten Years of Zanon,” which appeared in La Verdad Obrera (Workers’ Truth) No. 453, 17 November 2011. La Verdad Obrera was the newspaper of the Partido de los Trabajadores Socialistas (PTS – Socialist Workers Party) of Argentina from 1996 to 2015.